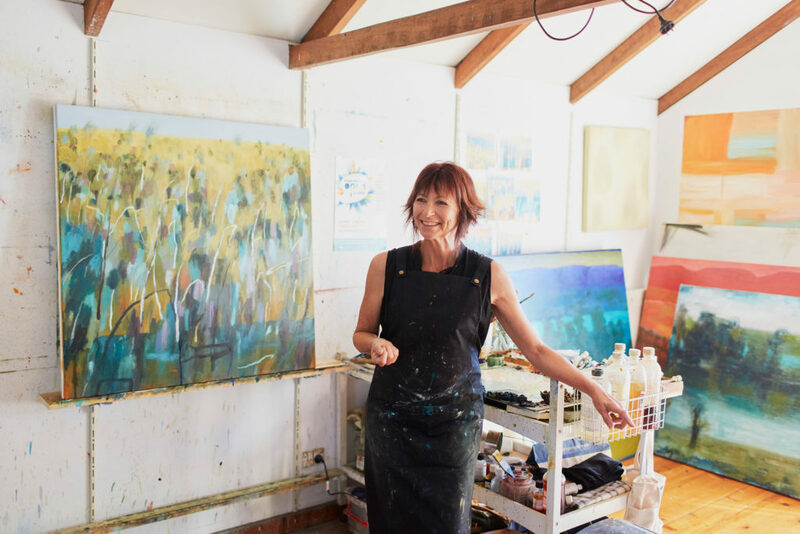 Margaret River Region Open Studios is a fabulous event absolutely worth attending – no matter how far you have to travel! 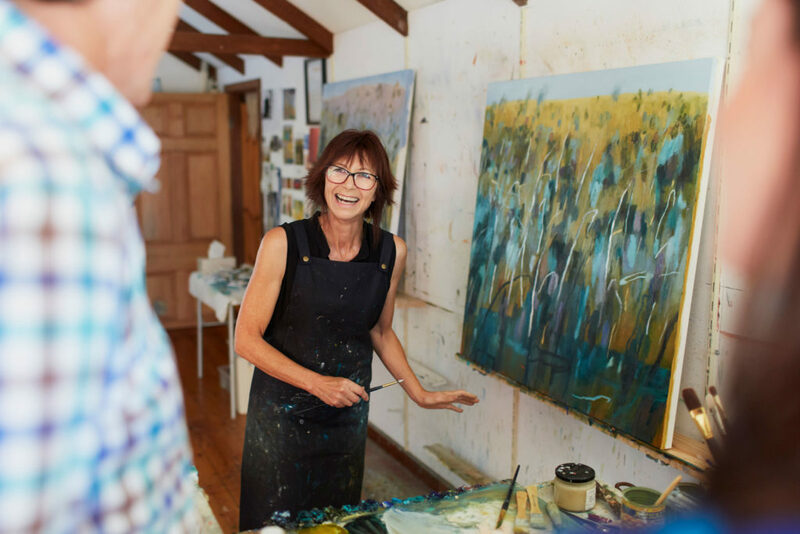 Over 130 artists invite you to step into their creative world for the Margaret River Region Open Studios. 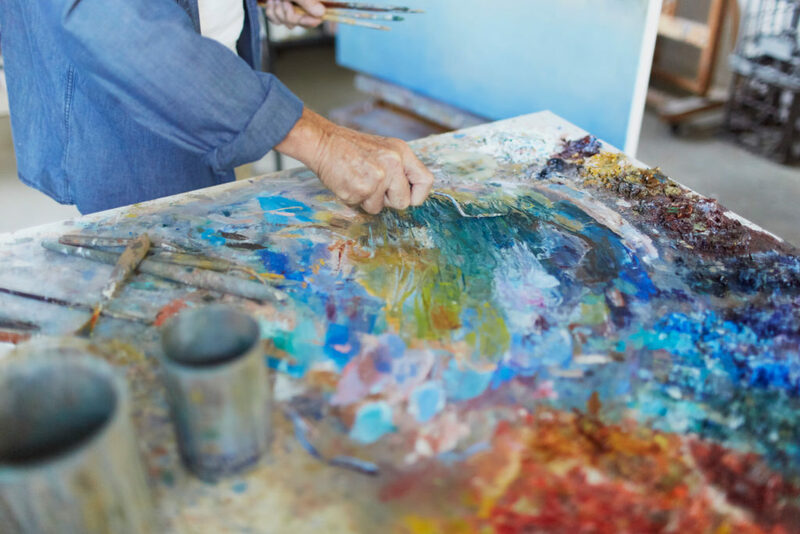 It’s a fantastic opportunity to meet local artists in their own studio or home. It’s the fifth and largest event so far, and it runs 28 April to 13 May 2018. 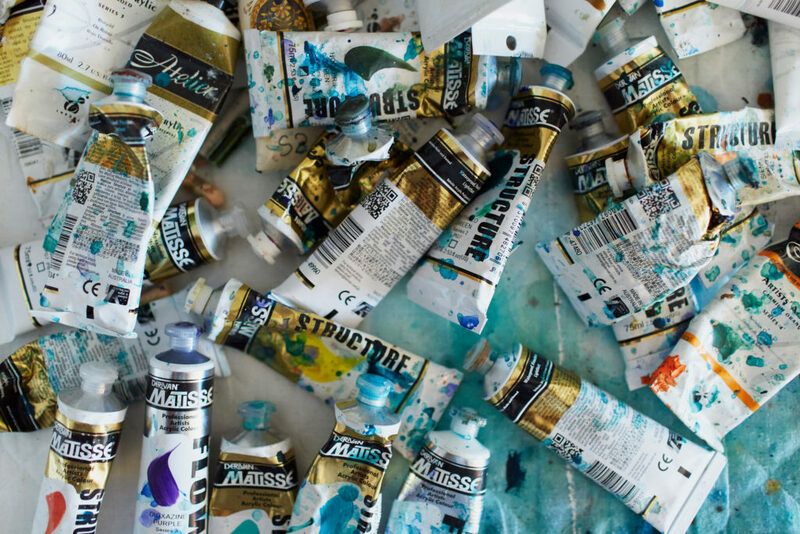 There are artists participating in Busselton, Margaret River, Augusta, Vasse, Yallingup, Quindalup, Dunsborough and Cowaramup. Maps are available online and at select venues such as our local tourist bureaus, so you can design your own art trail. 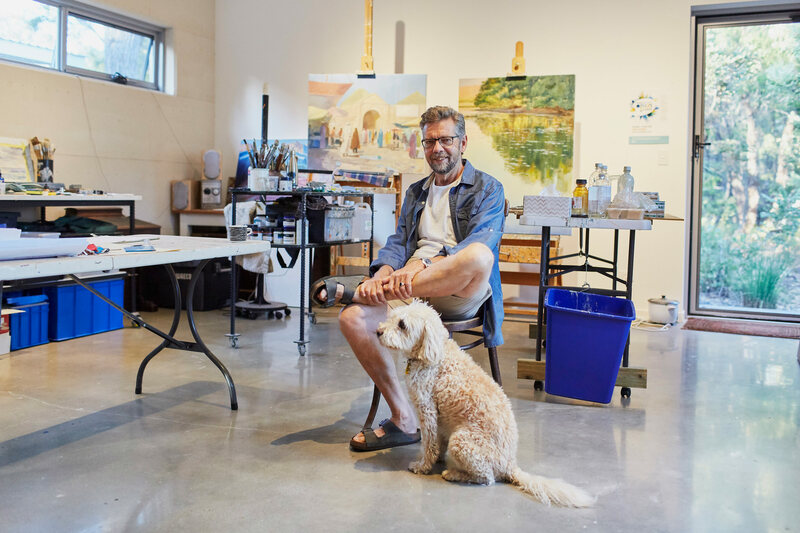 Some of our favourite artists and galleries are just a cooee from Wildwood Valley. That’s good news! Just around the corner is Douglas Kirsop and this is the first time he’s opened his studio to visitors, so put him on your list. 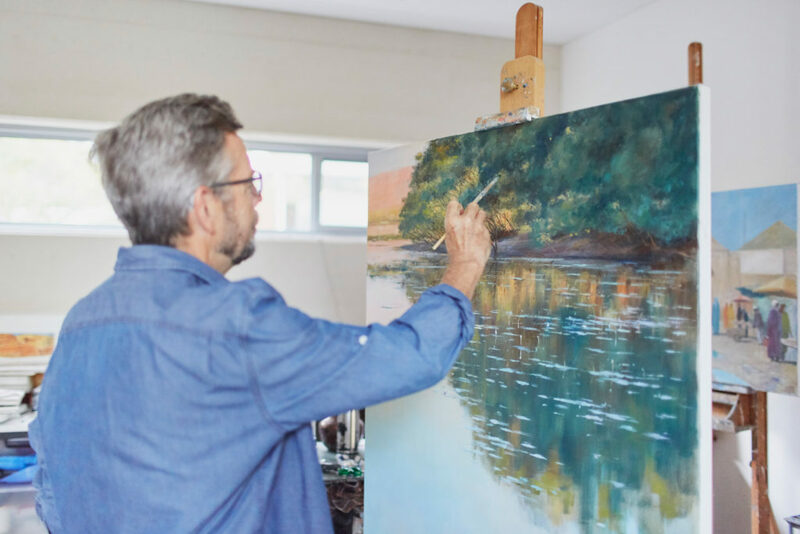 From large landscapes in oils to watercolours of local coastal scenery, Douglas and his vibrant work is sure to please. 28 Corymbia Close, Yallingup. T 0428 975 522. Open 10am-5pm Saturday and Sunday, and 10am-4pm Monday and Friday. Closed/by appointment Tuesday, Wednesday, Thursday. Next artist, Mary-Lynnne Stratton, has won several prestigious art awards in recent years, and it’s easy to see why. She won the Cossack and Vasse Art Prizes, and last year had her art chosen to decorate the wine label for the 50th Anniversary Margaret River Cabernet. Her interpretation of landscape is remarkable, building up layer upon layer of oil to create beautiful works that please the viewer with their soft tones and gentle hues. With over 30 years working in the art realm as teacher, illustrator and painter, Cate inspires many local artists to hone their skills. Quirky and fun, you’ll love Cate’s studio, and I highly recommend a visit. 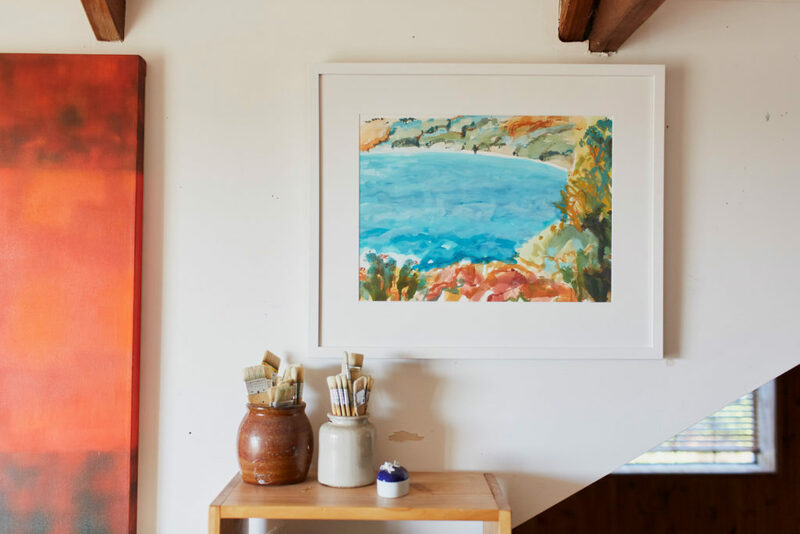 She’s the driving force behind the Quindalup Artists and their successful exhibitions at Yallingup Hall are testament to her skill and influence. Open 10am-5pm Friday, Saturday and Sunday, and 12-6pm Monday and Tuesday. Closed/by appointment Wednesday, Thursday. Next two stops, you may be able to catch either a meal or at least a coffee. Yallingup Galleries is open seven days and is on the corner of Gunyulgup Valley Drive and Caves Road. Chubby’s cafe may be open for a quick coffee there, or if not, drive on to Marrinup Drive and Studio Bistro and Gallery. Many artists are represented in both galleries and its worth a visit to each. At the time of writing, we have accommodation available during the Open Studios event; 28 April to 13 May (including weekends). Better still, we’ve just reduced prices by up to 25% midweek and 20% on weekends. Call us to book – 9755 2120 or book online. And enjoy the art! No Replies to "Margaret River Region Open Studios"